Where is your SWPPP? Is it accessible to anyone that wants to view it? Does it contain the current permit or proper certifications? Is your SWPPP being properly amended/updated when you perform required ongoing inspections? These are questions that construction professionals and MS4s are presently considering as a growing emphasis is placed upon water quality and enforcement in our communities nationwide. 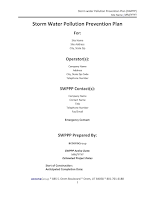 A SWPPP is a Stormwater Pollution Prevention Plan and required by the Federal Clean Water Act on most construction sites including industrial facilities that have exposures to rain or snow melt. Federal, state, and local regulations are very specific when it comes to how these plans must be properly managed. After all, the SWPPP document itself is the “court document”, derived of self-monitoring documentation that is required by their complicated regulations. As these regulations grow more complex, companies and MS4s are trying to solve how to best meet them to stay compliant and to avoid negative publicity and costly fines and penalties that are on the rise. What is the best way to legally manage SWPPPs on projects and facilities? While many environmental regulations can seem burdensome, the regulations also allow some common sense methods for achieving compliance. 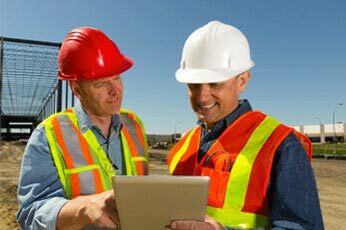 One such method is allowing electronic management of all stormwater documents, inspections, documentation, map updating, and communication. And, it appears that the federal government is ready to require states and local municipalities to manage their SWPPP oversight programs electronically. This would encourage anyone wanting to comply to utilize technology. Stormwater personnel have been trying to figure out the best way to manage SWPPP documents on site for updating and accessibility for quite some time. Mailboxes, lockboxes, and other methods have been used to try and meet the regulations. However, as you can imagine, these federal documents are often lost, vandalized, stolen, mismanaged, weathered, and ultimately not compliant. Company management personnel and MS4s struggle when emphasizing the need for continual upkeep and management of the SWPPP. This is especially true if the only way to manage them is to actually drive to the site and find them! Electronic management provides a better way to manage a SWPPP program and make it compliant. As long as the electronic accessibility of the SWPPP and documents are posted with the permit, the SWPPP is always accessible. This includes current up-to date certifications, inspections, action logs, amendments, and active site maps. The benefits of electronic management are obvious. Electronic management will change your operational process. Hard copies of the SWPPP, inspections, signatures and action logs, along with map updating on site, are a thing of the past. Electronic SWPPP management is a new and better process. Electronic inspections, signatures, action logs, and maps updating are an improved management method allowing professionals to utilize better tools for compliance. 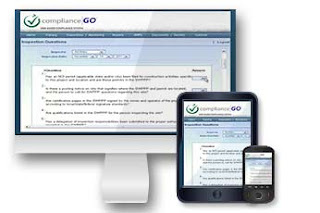 This will increase profitability, provide more flexibility, and drive improved compliance. 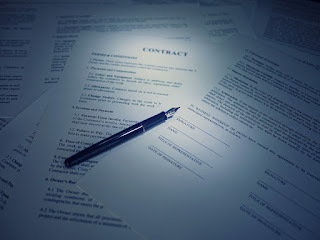 Company and MS4 interests are better protected with electronic management as well. It is one thing to say, “These things are important”; but where SWPPP management is tied to a consistent electronic process with tools and resources, their compliance documents will finally be compliant and everyone wins if that is the case.